March | 2015 | Take Home a Souvenir! After months of gruelling work (no, I’m kidding, it wasn’t that bad), we’re EXTREMELY EXCITED to announce that we’ve finally launched our brand new website. Do have a look and tell us your thoughts! 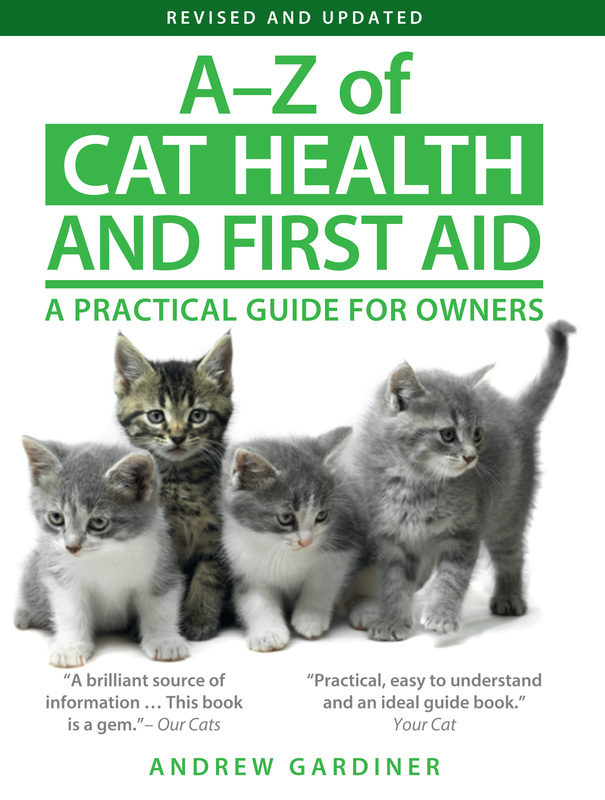 Happy publication day to Andrew Gardiner for the acclaimed A-Z of Cat Health and First Aid: A Practical Guide for Owners! And to celebrate, we’re giving you an exclusive sneak peak of the most talked about topic in cat medicine right now – High Blood Pressure. “High blood pressure is common in both cats and people. Most cats with high blood pressure are older individuals, very often suffering from kidney disease or over-active thyroid gland. The raised blood pressure has occurred because of these underlying conditions. A few cats may have high blood pressure on its own, without any underlying condition, but this is rarer in cats compared to people. High Blood Pressure can damage several vulnerable organs, notably the eyes, kidneys, heart and brain. This damage from raised pressure can then complicate any underlying condition, creating a viscous circle effect. Signs of this sort of damage occurring may include partial or complete blindness, bleeding into the eye, kidney failure, brain damage (showing, for example, as fits), and heart disease. Any cat with vision loss or deterioration needs to be kept in a safe place until he or she can be seen by the vet. The cat’s blood pressure will be monitored regularly to determine if the high blood pressure is consistent and requiring treatment. Most cats tolerate this painless procedure well once they have become used to it. Particular attention is paid to the eye in diagnosing and monitoring high blood pressure. Today, millions of people (both Irish and non-Irish) will be wearing green, drinking Guinness and celebrating St Patrick’s Day. The annual Irish celebration is now a global event – even the Eiffel Tower is lighting up green tonight – but did you know that it originated in the USA? In 17th century Ireland, March 17 was a religious feast day, used to mark the death of St Patrick, who is credited with spreading Christianity in the green isle. People would usually go to mass, not to pubs. Meanwhile, in the USA, Irish immigrants began their own St. Patrick traditions. The first New York St Patrick’s Day parade, or walk, was in 1766, started by Irish Catholic members of the British army. It was only in the 1960s that Dublin started to take note of the Americans – and St Patrick’s Day evolved into the celebration that it is today. 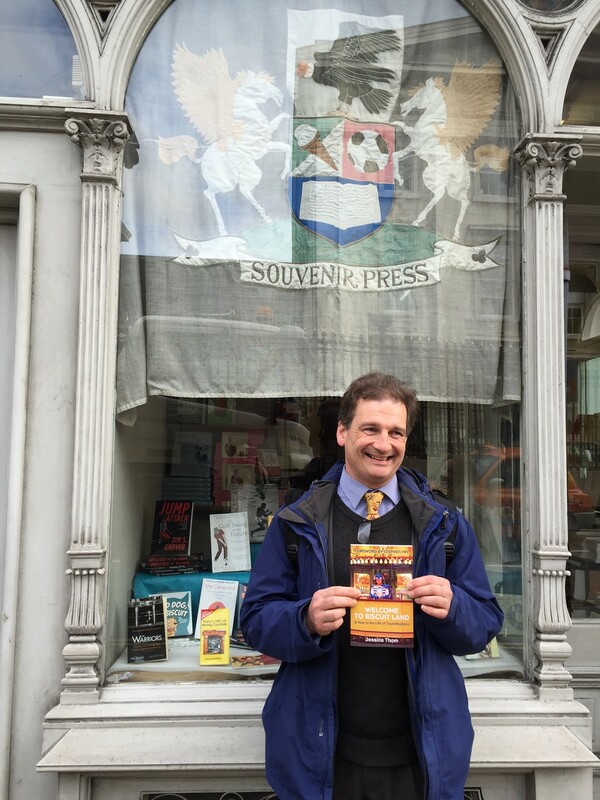 Souvenir Press publishes a number of Irish-themed titles, perfect for getting to grips with Irish culture. A haunting collection of stories from some of Ireland’s most famous writers, from Samuel Beckett and Seamus Heaney to Roddy Doyle and Flann O’Brien. Vivid, evocative and often deeply moving, this is a collection to reawaken nostalgia and provide hours of unadulterated pleasure. Whether their memories are of rural villages or crowded city streets, of running through the fields or enduring the discipline of spartan convent schools, some of the greatest names in twentieth-century Irish writing combine to create an irresistible book. 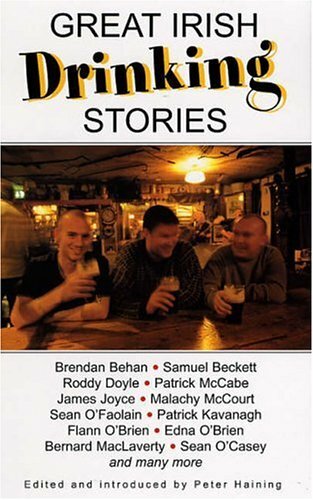 From James Joyce, Flann O’Brien and Brendan Behan to Roddy Doyle and Patrick McCabe, all have written about drinking and its effects, the stuff of life and sometimes the troubling consequences. In Great Irish Drinking Stories, Irish revelry is included, wakes and weddings, city bars and country pubs, the craic and the ceilidh in a round of stories that celebrate drink and drinking. Spoil Mum this Mother’s Day with the best present of all – a book. 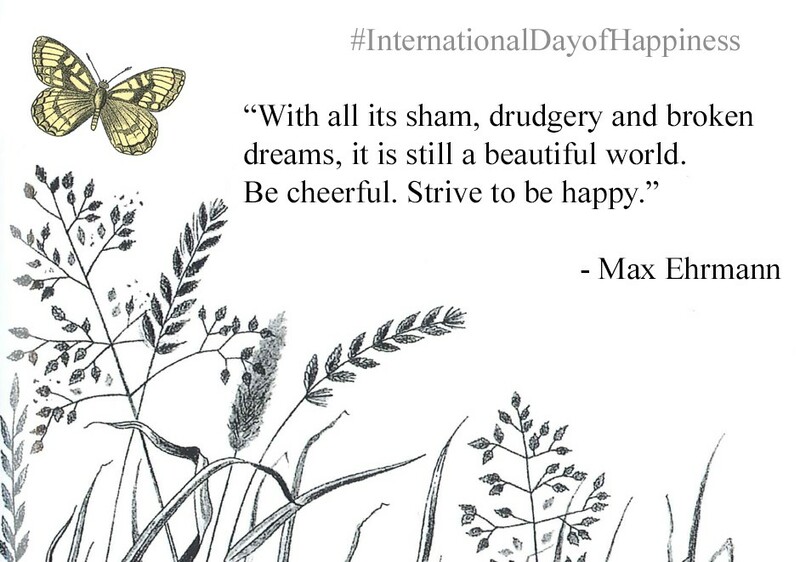 Head to www.souvenirpress.co.uk for more bookish inspiration! 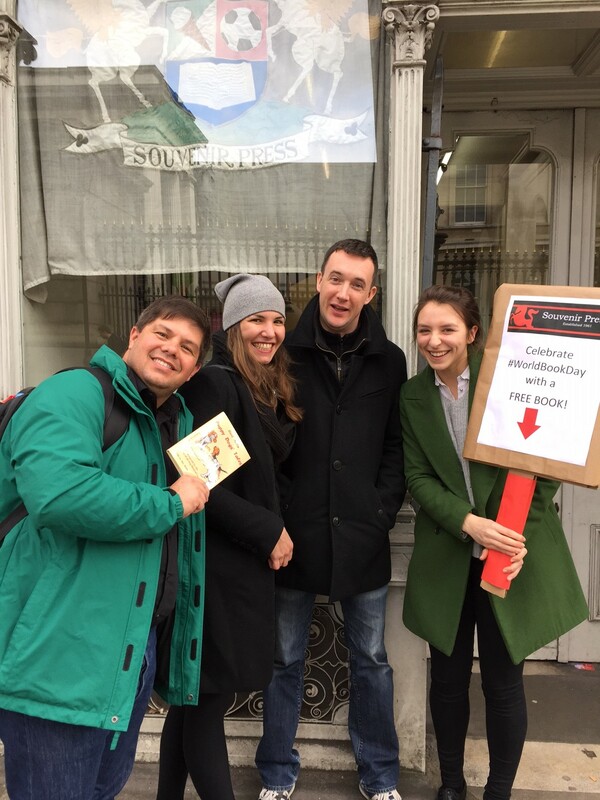 Lucky visitors to SP HQ were treated to free books of their own choice in our World Book Day giveaway on Thursday. 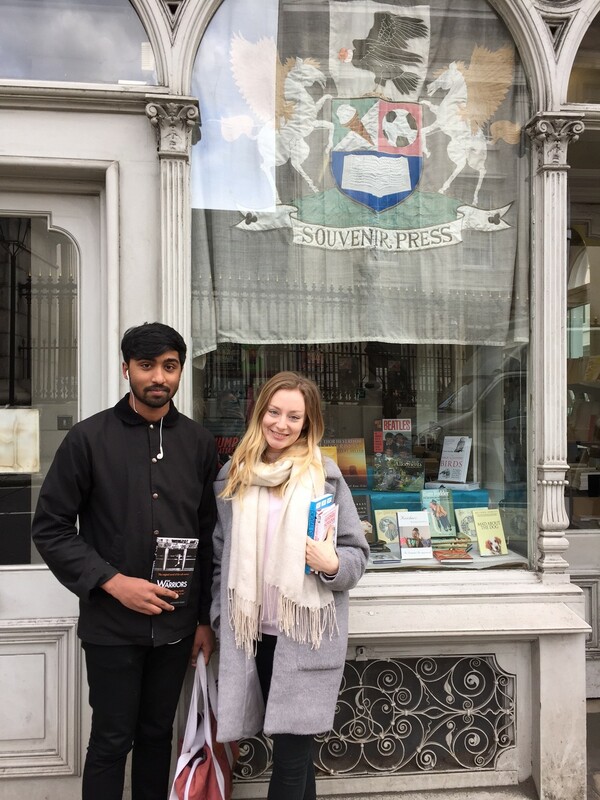 Our marketing team, Amy and Claire, curated the list of books from a variety of different genres, including fiction, non-fiction and poetry. 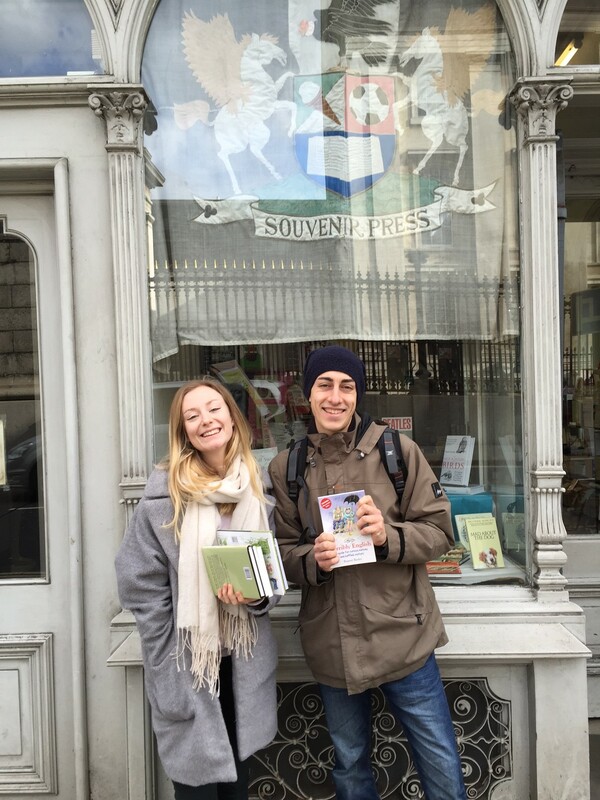 A wide range of readers expressed their pleasure in receiving a book gift, either for themselves or their family. See below for some of the lucky readers! Marco, Roberta and Thomas chose Cecil Aldin’s Puppy Dogs’ Tales for Marco’s daughter. Jay opted for Sol Yurick’s The Warriors, after recognising the title from the 1979 cult movie. Mike chose Jess Thom’s Welcome to Biscuitland for his teenage daughter. As a visitor to the UK, Luca chose cartoonist Rupert Besley’s Terribly English. 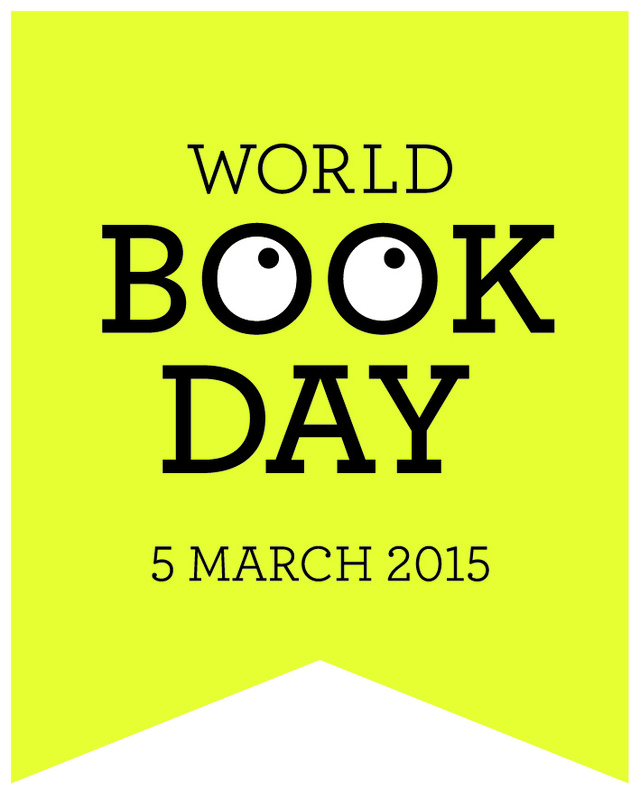 And Happy World Book Day!